BUENOS AIRES: Hot on the heels of Diego Maradona, another Argentine World Cup winner has thrown his hat into the ring to become the next national team coach. Jorge Sampaoli may still be resisting pressure to resign after Argentina’s World Cup debacle and last 16 elimination against France in Russia, but now Mario Kempes has said he wants to take over. “Of course!” he said when asked by current employers ESPN, for whom he works as a commentator, if he would be interested in the job. 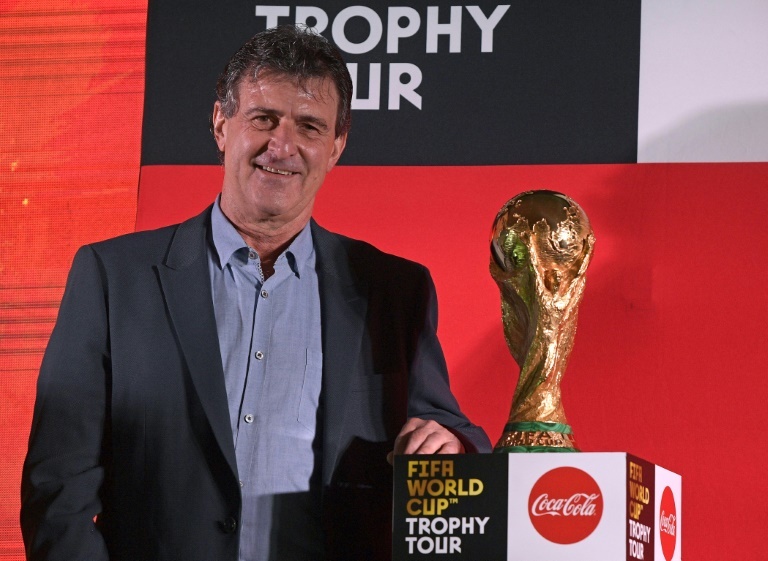 “There’s a lot of work to do but there’s enough time to come up with a good project to tackle a very interesting challenge, and I’m sure it would win,” said Kempes, Argentina’s star striker during their 1978 World Cup triumph, scoring two goals in the final. His assertion comes just two days after legend Maradona, who lifted the World Cup in 1986, offered to coach the team for free. Maradona spent two years at the Argentina helm from 2008 to 2010 but saw his side crash out of the South Africa World Cup in a humbling 4-0 quarter-final defeat to Germany.